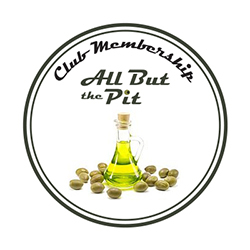 Join our exclusive Oil of the Month club and get a great tasting exclusive oil every month. Only $15 a month. Previous months have included - Cinnamon Pear, Hibiscus, All but the Pit Christmas blend. From Anonymous of Temecula, California on 9/1/2016 .